Chipa bread is Argentina’s version of cheese bread. 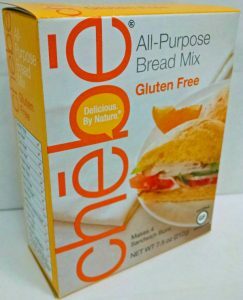 It is close to the Brazilian version, so use our Chebe Bread and no one will ever know. And burgers may be All-American, but Argentina knows its meat better than most. 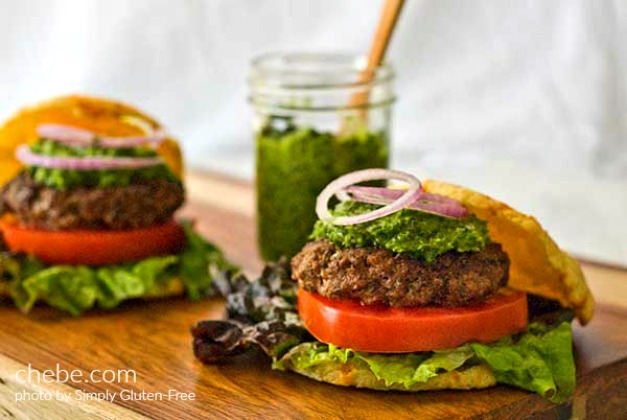 So whip up some chimichurri sauce, make your ‘pampa’ burger and put it on a chipa bun, che! Preheat oven to 375Line a baking sheet with parchment paper or a silicon baking mat. 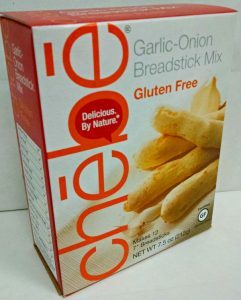 Using a fork, blend the Chebe mix in a bowl with the cheese. Continue blending in the water, eggs, and oil. Mix for a couple of minutes, then finish off by kneading with your hands until the dough is smooth and well blended. Divide the dough into four equal portions, roll into balls, and flatten into disks about 4 inches in diameter. Place on the prepared baking sheet and bake for 15 minutes. Place the garlic cloves in a food processor and chop finely. Add the parsley and pulse several times until the parsley is finely chopped. Add the vinegar, oregano, salt, pepper, and red pepper flakes and process until combined. With the machine running, add the olive oil and process until the mixture is thick and fully combined. If too thick, add a few more drops of olive oil. Taste and add more salt and pepper if needed, the mixture should be very flavorful. Can be made a day ahead, store in a covered jar in the fridge. Combine the ground beef, garlic, chili powder, salt, and pepper in a mixing bowl. Divide into 4 equal sized portions. Shape into patties ¾ inch thick and with your thumb make a deep indentation in the center of each. Heat a grill, grill pan, or skillet to high heat. Add the burgers and cook 3 – 4 minutes, flip and cook for another 3 – 4 minutes. Refrain from pressing down on the burgers as they cook to keep your burgers juicy. 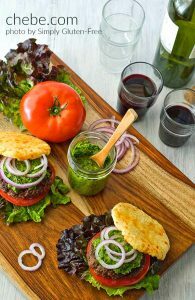 Serve the burgers on the Chipa Buns with lettuce, tomato, onions slices, and chimichurri sauce.